The flavor of this tomato is often compared to Brandywine. 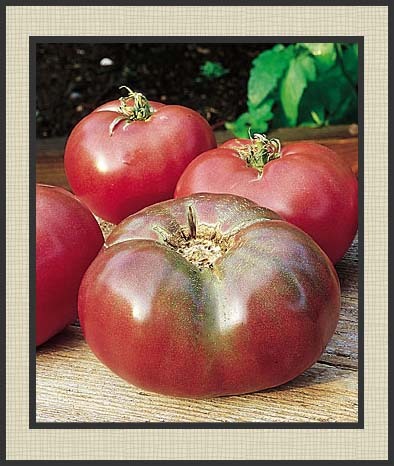 This tomato is described as a large dark purple tomato from Tennessee is rumored to have come from Cherokee gardeners, but I found it to only have a purple hue and seemed to stay a bit green on top. It did have a nice flavor, but neither the fruit nor the plant got nearly as big as the Brandywine. The flesh is brick-red and very attractive sliced on a plate. Plants make large vines that yield 13 ounce fruits.